This particular episode was a straight forward comic, though it was produced backwards. 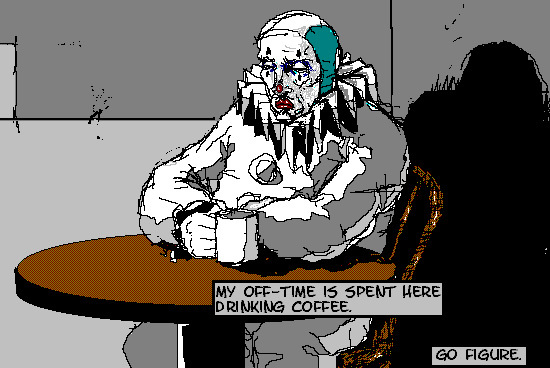 I began by drawing random pictures of clowns, then created a narrative structure to tie the images together. It’s a method I’ve tried quite a few times over the years with some success. Some of these drawings were started as early as 2000, and they were all done with a mouse in the only drawing program that I had, Microsoft Paint. It would be a year before I found a way to tie them together and publish them online.